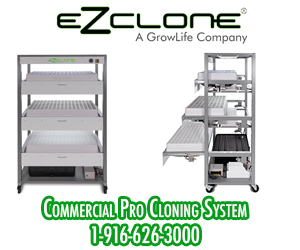 Move Over HPS Grow Lighting? The AVici LED grow light after much anticipation is touching down in grow rooms and greenhouses all over the world. 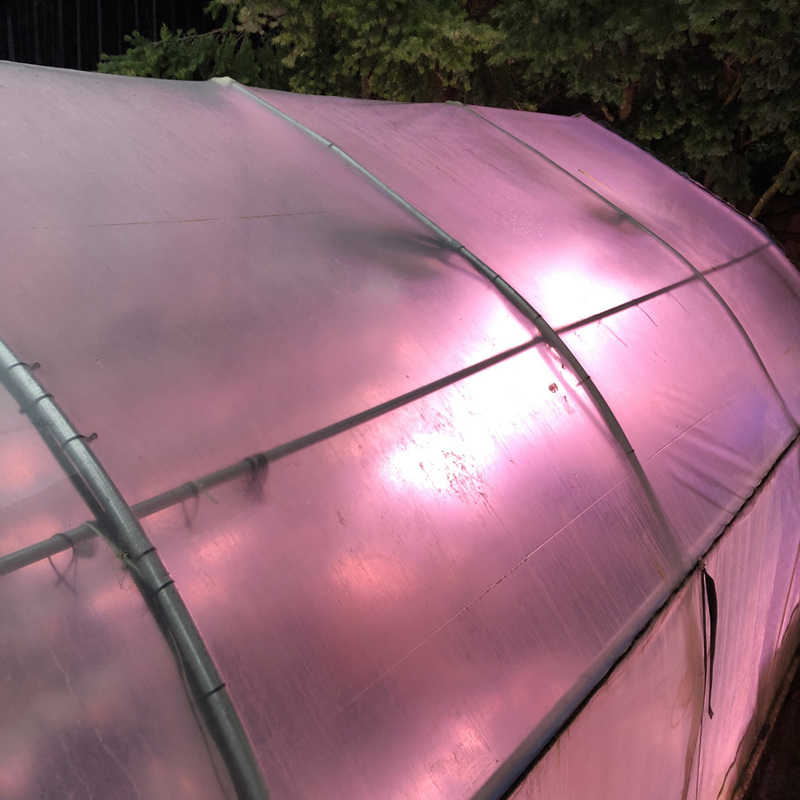 Instead of beating about the bush, we at Grozine are going to come right out and just say it’s love at first sight–just make sure you have protective eye wear on when trying to look at an AVici grow light while it is operating! The AVici LED grow light represents what many in the industry have long been waiting for, and that’s a direct LED replacement for HPS fixtures, including the more modern DE (double ended) high output HPS grow light models. 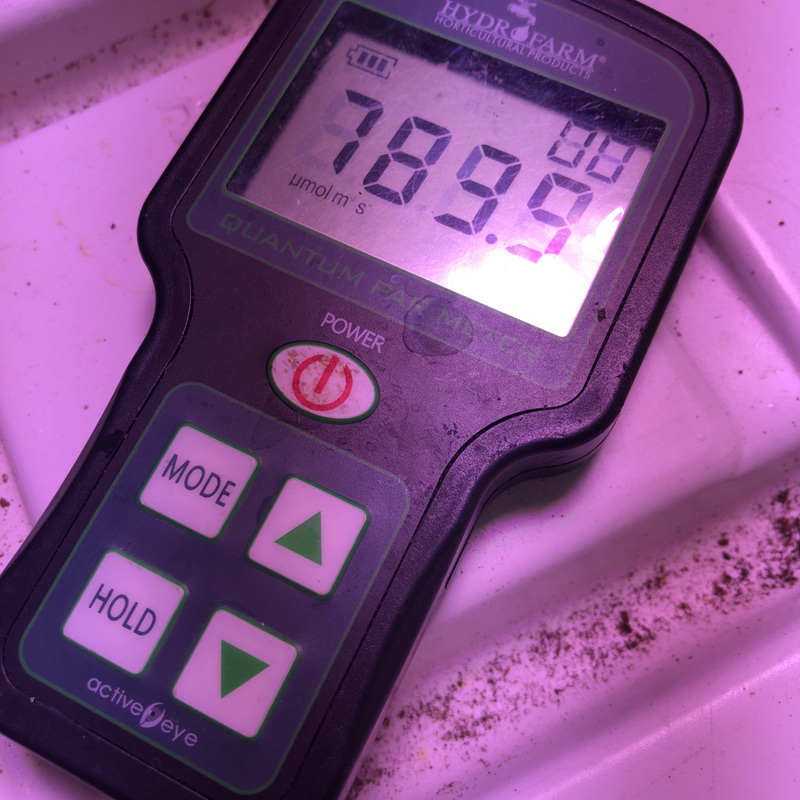 As a an early test pilot of LED grow light technology in discussing the potential it holds over 10 years ago, the question posed then and to this day has often been: “Can LED grow lights out produce my HPS lighting system”? 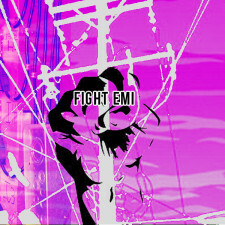 The answer, until now, had varied. 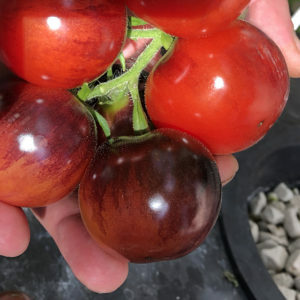 In short, yes, but at what purchase cost and what level of modification to common growing practices and grow room or greenhouse construction, historically speaking. No need to alter the floor plan for light or plant spacing, no need to change desired finishing heights or planting densities. 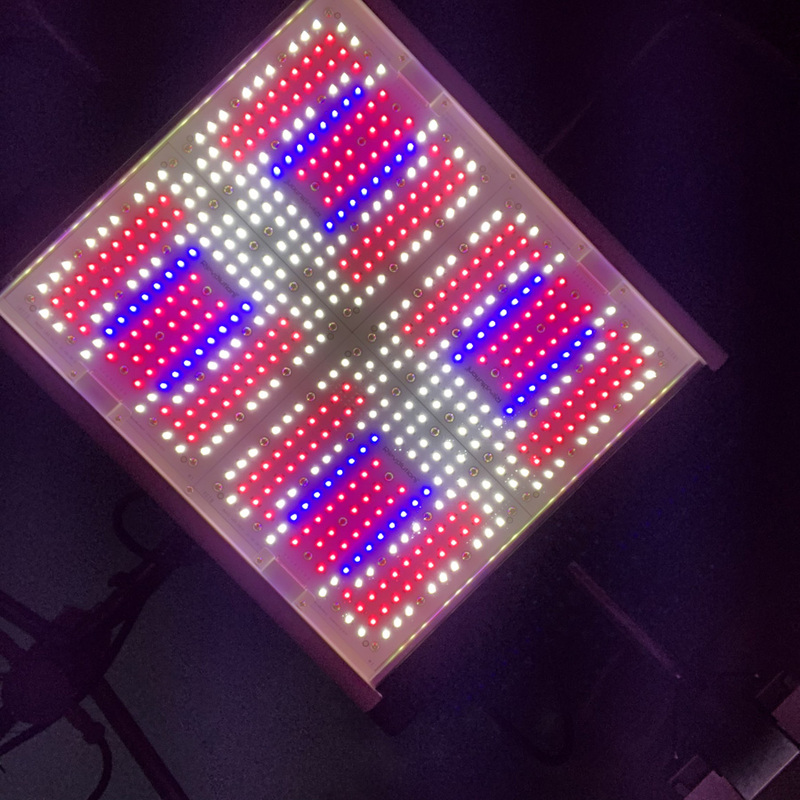 The AVici LED grow light delivers very intense and photosynthetically rich lighting for crops at standard fixture heights and spacing. 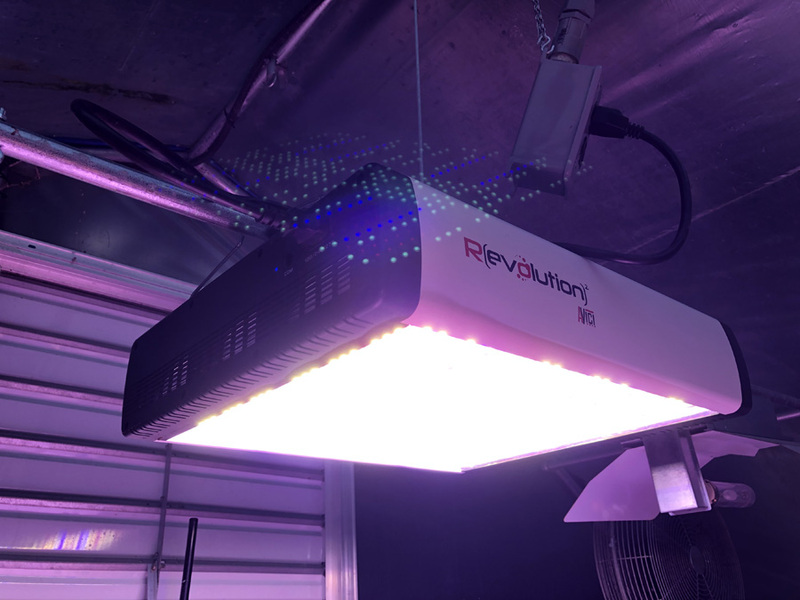 In fact, the Revolution Micro‘s AVici LED grow light DELIVERS MORE LIGHT FOR PHOTOSYNTHESIS AT THE SAME WATTAGE VERSUS A 1kW DE HPS. This is a documented fact. 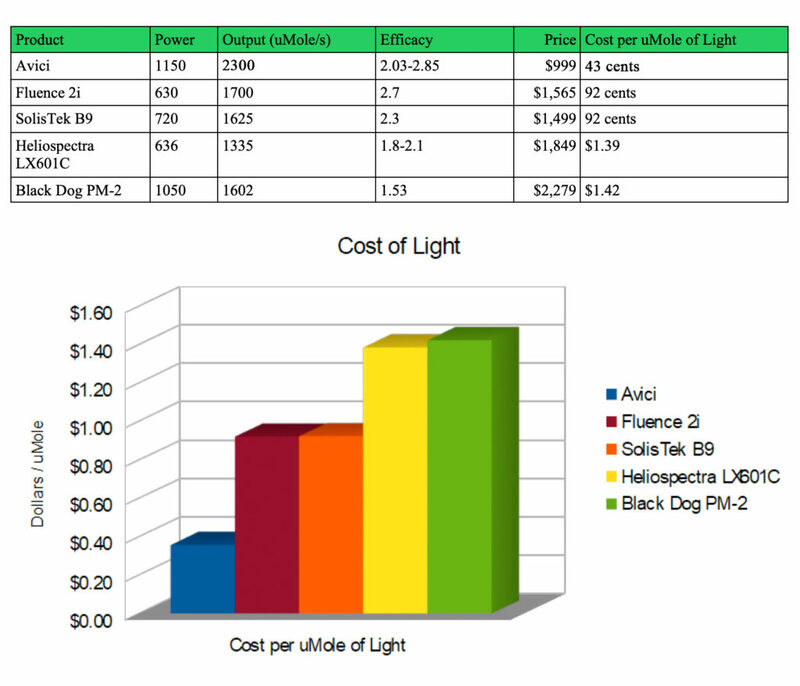 CSA’s independent testing revealed that the AVici LED grow lighting system produces 2300 uMol s-1 at 1kW of power. Click HERE to see the CSA documentation. For contrast, popular high end 1kW DE HPS crop lights, according to the manufacturer’s own statements are producing 2100 uMol s-1. That number is also likely inflated due to the fact that the ballast may be boosted, possibly running at 1050W or more, while CSA’s testing was a strict 1000W (1kW) in the rating and assessment. Further, CSA is an independent certification body versus statements that are likely to be generated from a lighting company’s own testing laboratory. So It’s Brighter–What Else Can it Do? 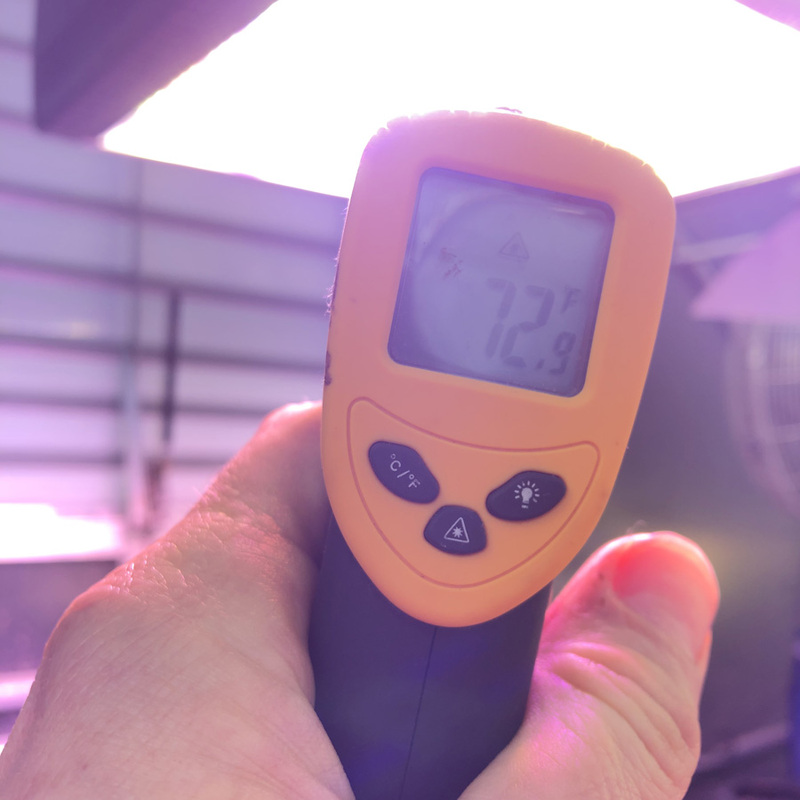 -extremely cool running fixtures; the fixture clocks a mild 72 degF when pointing a temp gun right at the light source versus several hundred degrees with DE HPS, ie cool to the touch for happier plants and a safer working environment. 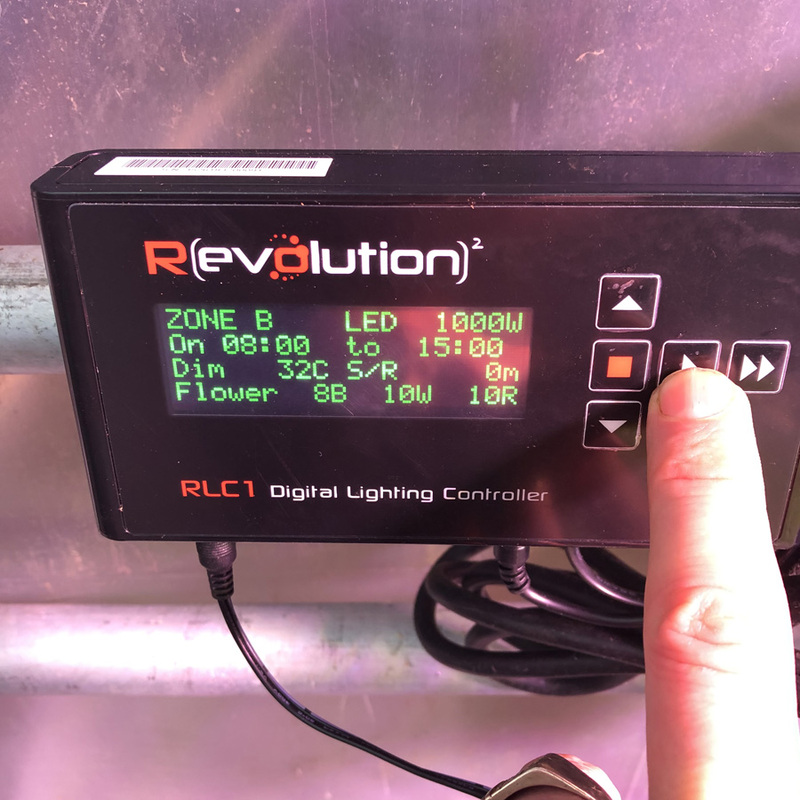 -customizable diode output ratios; besides selecting from veg, flow and finishing, the operator can use the RLC-1 digital control to tailor the diode ratios within each of those settings for complete made to measure light wavelengths for different plant strains or growing practices. The AVici LED grow light can plug straight into a regular timer, and operates at 110-277V, no need to switch settings or rewire anything. The AVici detects line voltage and operates accordingly, producing 100% light output in the flowering spectrum (which is also OK for all growth phases). 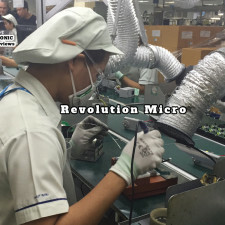 To unlock the full potential of the AVici LED grow light, simply connect the included data cable to RevMicro’s RLC-1 digital lighting controller. 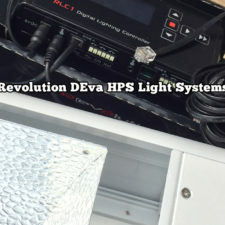 The RLC-1 can also operate smartly with any of RevMicro’s other lighting systems including 1kW DE HPS (DEva) and 630 watt CMH. Also note that a single RLC-1 control can handle up to 512 lights in two independent zones–all from the same control; no need to buy more controls as you add more lights to the operation. 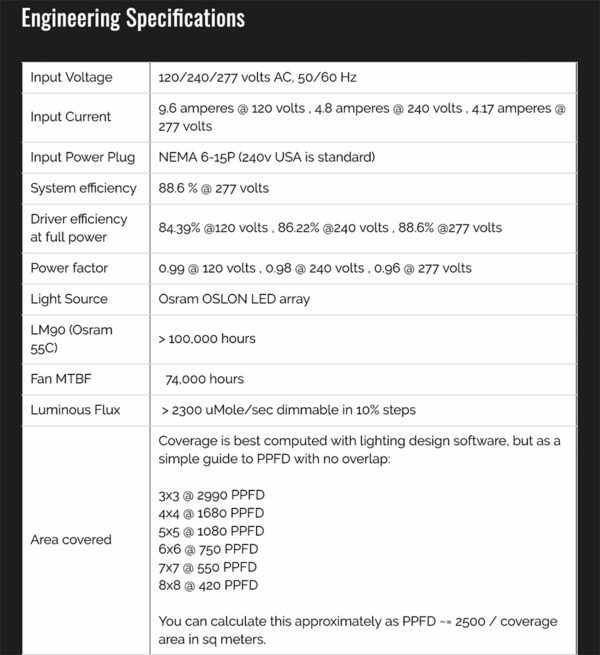 To learn more about the RLC-1 controller and smart functions for all light types, Click HERE. Q: Does the output include UV wavelengths? Answer: No. 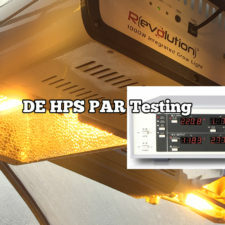 Similar to DE HPS lighting, there is no significant UV output, as it is not essential for growth and development. If you would like to add UV to your lighting system, the RevMicro 630watt CMH lighting or other CMH lighting systems can be added into your lighting grid with the AVici; all from the same controller. Q: How can the AVici operate so cool while producing so much light? Answer: The AVici has an amazing heatsink system, the heat is absorbed by the sink and scrubbed away by fans rather than directed where it is not wanted into the plant canopy. The Avici runs completely cool to the touch, ie room temperature for healthier plants and a safer working environment. Q: How long will the fixture work for, ie replacement of drivers or fans? Answer: At least 150,000 hours. The AVici is manufactured to aerospace standards, ie the components are rated for 32 years of working life–so the short answer is a very long time! At Grozine.com we are going to perform real world testing, over a period of time, and report back for all of our following about what we experience and observe. Q: What size area does the fixture cover, and from what mounting height over the crop? Answer: From 4′ X 4 (very intense for flowering) to 6′ X 6′ (vegetative growth). Three feet above the canopy is a good place to start if you seek a very intense lighting footprint for flowering below, based on our experience to date. Q: Do I have to buy the controller for the light to work? Answer: No. The AVici LED grow light is ready to operate right out of the box, just plug it into any 110-277V power source. However, to take advantage of smart functions and controls you will need the RLC-1 controller.